Guaranteed to bring out the wild side in all of us, these animal shows are sure to be what makes your next birthday party or corporate event soar. Choose from an addition of a sleek reptile or an intense exploration of flight by beautiful birds to make your even truly unique. Our professionals are perfect at interacting with children and adults of all ages to educate and entertain. With this animal show, you can take off with this fantastic display of the aviary persuasion. These beautiful creatures are a unique and breathtaking addition to any event, party, or grand opening. A petting zoo complete with goats, chickens, and other lovable favorites is the perfect animal show addition to any outdoor event. 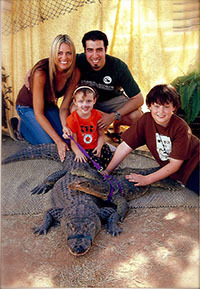 Adults and children of all ages will enjoy the sweet-natured temperament of these animals. This is a perfect addition to a child's birthday party or any Easter celebration. 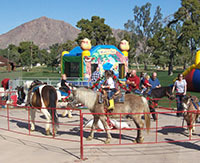 Add this delightful animal show to your next children's party or western themed event. Whether your simply looking to add that something special to your backyard celebration, or include an activity for the little ones at an adult event, this addition is guaranteed to please. These slithery creatures will leave a lasting impression on your guests. 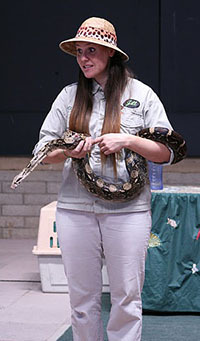 Perfect for children's parties, and those who want to experience the great outdoors, the addition of this animal show is guaranteed to please and educate.